On the north side of the Echo Canyon Road bridge the Union Pacific's double track main up Echo Canyon, Utah splits into eastbound (left) and westbound (right) tracks on separate grades. 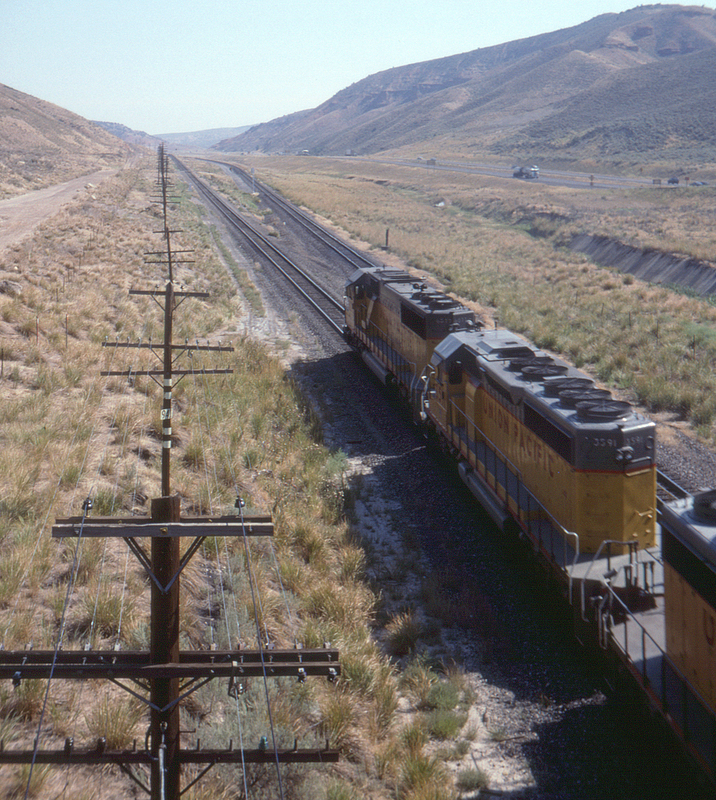 Here an eastbound train is climbing the grade to Castle Rock and Evanston, Wyoming. Interstate 80 is visible at right. The eastbound main was second to be built, in 1917, from Emory to Wahsatch.